From selling cat meat in the British Empire to how the CIA was behind the publication of Dr. Zhivago, here are this week’s top picks in imperial and global history. Peter Hitchens re-examines the relationship between the USA and UK, suggesting that – instead of an intimacy based on their shared histories, cultures and language – the real relationship is one of tactfully-concealed hostility. Since French military and naval intervention won America its independence, the new Republic has been Britain’s most consistent real rival with the Burning of the White House its most potent symbol. The first half of the 20th century was characterised by unprecedented hostility between the two nations and American support for Britain in both World Wars came at a price. Peter Hitchens argues that Lend-lease during the war was not an act of friendship, but a cynical subsidy, and much was demanded in return – our gold reserves and bases in the Caribbean. At Bretton Woods, he suggests, Britain came under irresistible pressure from the US to abandon Sterling’s position as a major reserve currency, ceding it to the US dollar. I’ve been reading both Samuel Moyn’s The Last Utopia: Human Rights in History, which came out in 2010, and his new book, Human Rights and the Uses of History, which is just out this year. The latter book is a collection of essays—mostly review essays published in The Nationbetween 2007 and late last year—and it continues the arguments and general project of The Last Utopia. But far more explicitly than that book, Human Rights and the Uses of History makes a diffuse but vigorous argument about what constitutes good historical practice—particularly what constitutes good intellectual historical practice. 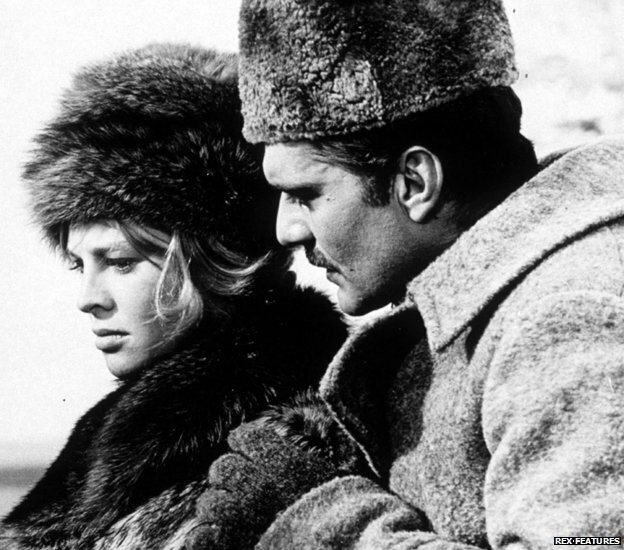 Boris Pasternak’s famous novel Doctor Zhivago remained unpublished in the USSR until 1988, because of its implicit criticism of the Soviet system. But for the same reason, the CIA wanted Soviets to read the book, and arranged the first-ever publication in Russian.